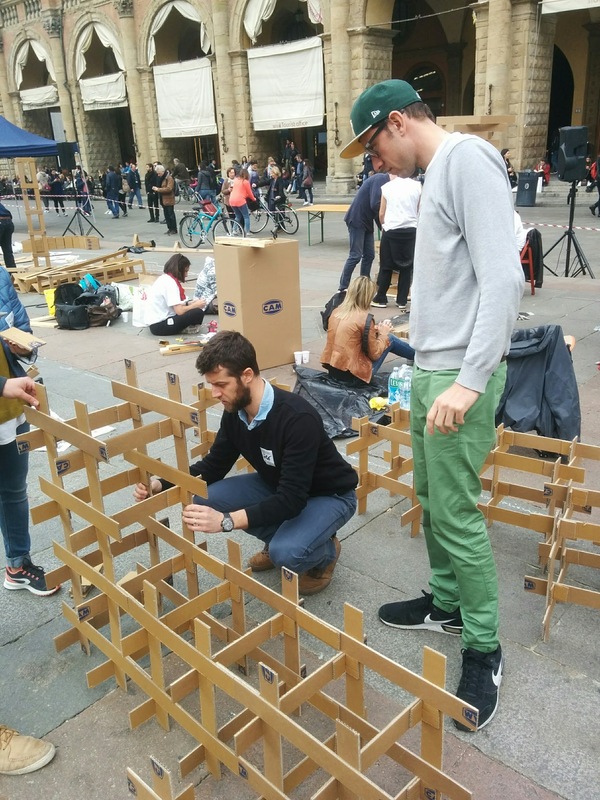 “La XIII PORTA” is a beneficial event organised by ASSOCIAZIONE ICO ROSETTI. The goal is to sensitize and gather funds to sustain the association’s projects. 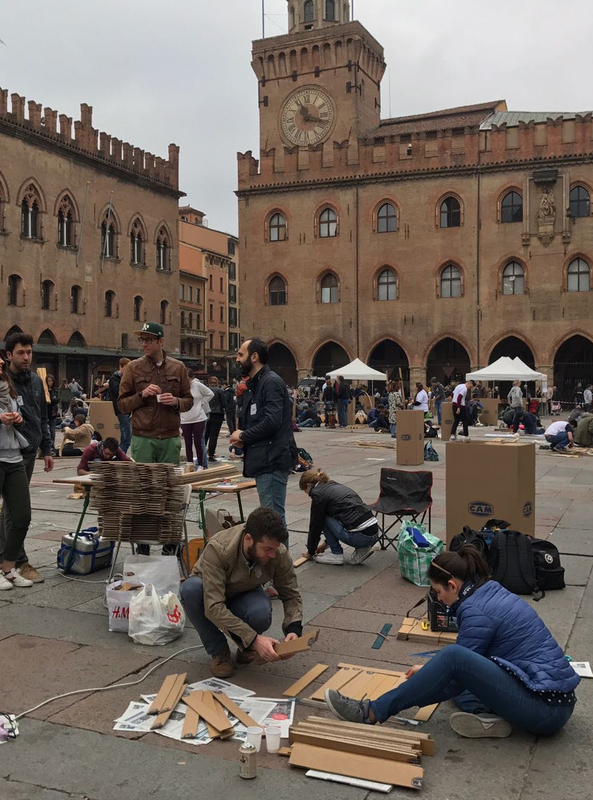 The third edition’s cardboard constructions theme, which was hosted at Piazza Maggiore in Bologna, was to design the thirteenth gate of Bologna. 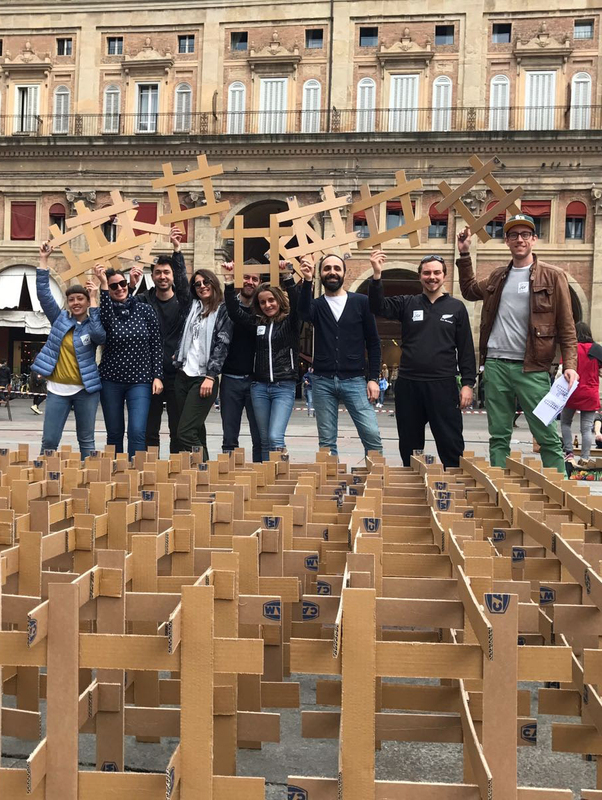 The basic module of our #OpenPortal is a 3D-hashtag which, in the virtual world, means a never-ending possibility of interaction, connection, participation and interest aggregation. 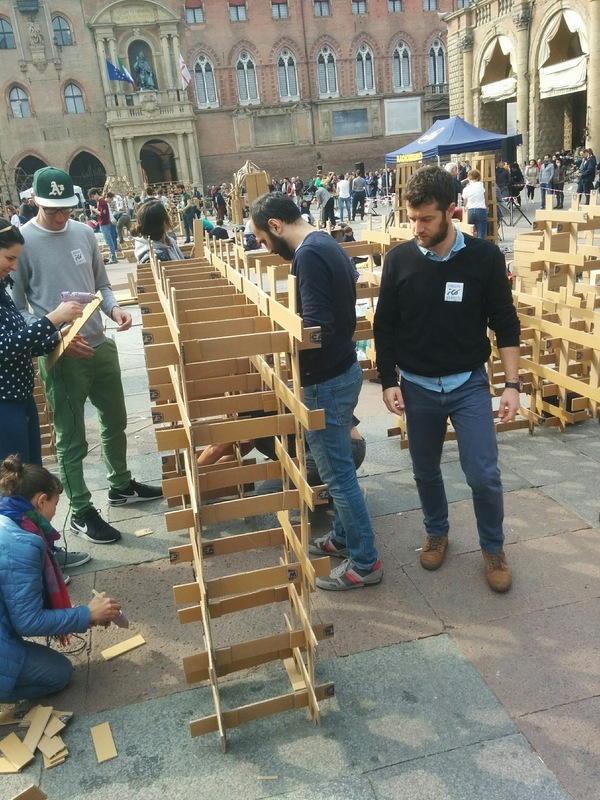 The meeting between crafts construction, formal concept and abstract language lead to an architecture where spatiality and human fruition are the protagonists. 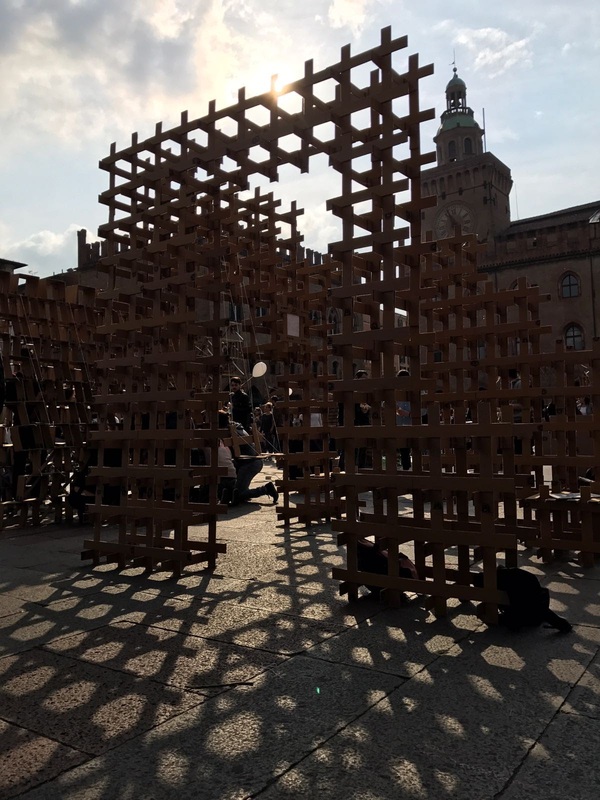 The primary intention is to think about the possibility to apply social and playful interpretation to the historical gates of Bologna, which are now considered useless objects with no soul that could get new meanings even by installing a sitting place or a swing.